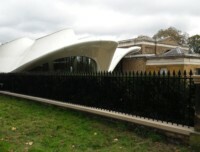 We have just finished refurbishing railings and stonework at Sackler Gallery, Kensington Gore and the Magazine Gate at Hyde Park. 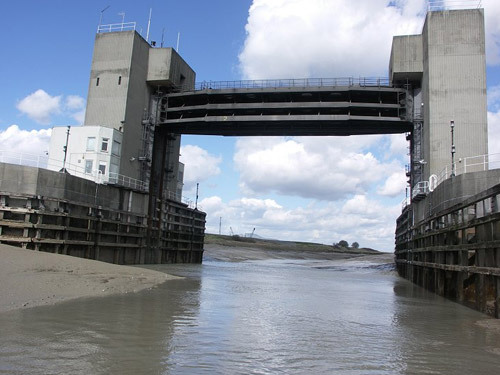 In April 2011 Sussex Blast Cleaning have been contracted to restore the Dartford Barrier for the Environment Agency. Working with Civil Engineers, Birse , the project will cover approximately three months over the summer period. We were asked to tender for the works by Trinity House which we won. After an aborted attempt on the 17th September due to sea conditions we started work on the 20th September. 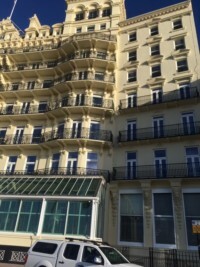 The work involved Ultra High Pressure Washing of the whole structure, removing all loose coatings and re-applying new coatings to all the metal work and the granite tower. 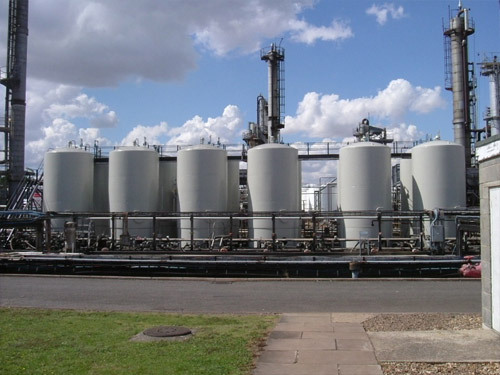 Since the first initial 12 running-in tanks, Sussex Blast Cleaning have blasted and painted many more for Petrochem, both internally including tank linings and externally. The company continues to service the customer’s ongoing requirements. Early in 2010 the Company was invited to tender for the project to refurbish the ICI Dulux white paint factory at Stowmarket. It was the first major restoration project since the plant was built in the 1970's. 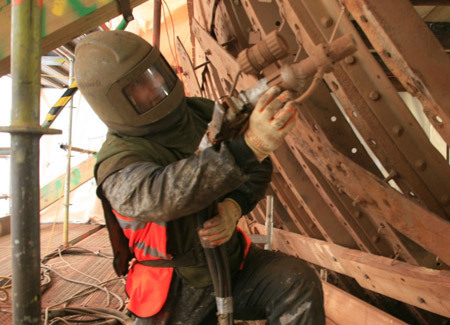 In May 2007, the fire on the Cutty Sark was seen as an opportunity for the Company to offer its services to restore the proud status of this unique British Heritage. 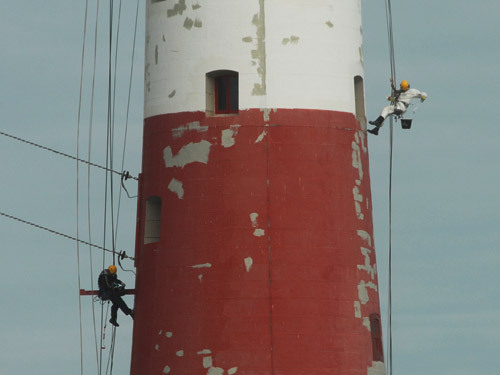 The ship was undoubtedly in a sorry state and Sussex Blast Cleaning Limited made a proactive approach and presented their services.They were invited to complete trials for the restoration project, where it was able to demonstrate fully its high levels of competence and expertise. The contract was won to complete the restoration in November 2007 after competing against much larger and high profile companies. 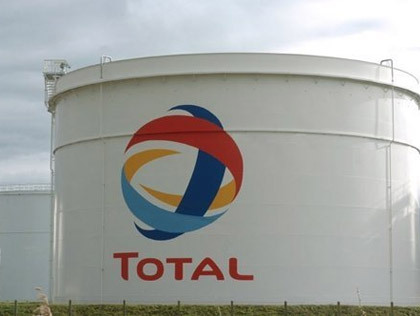 Early in 2011 Sussex Blast Cleaning did restoration and coating applications to the Total storage and distribution facility in Guernsey.